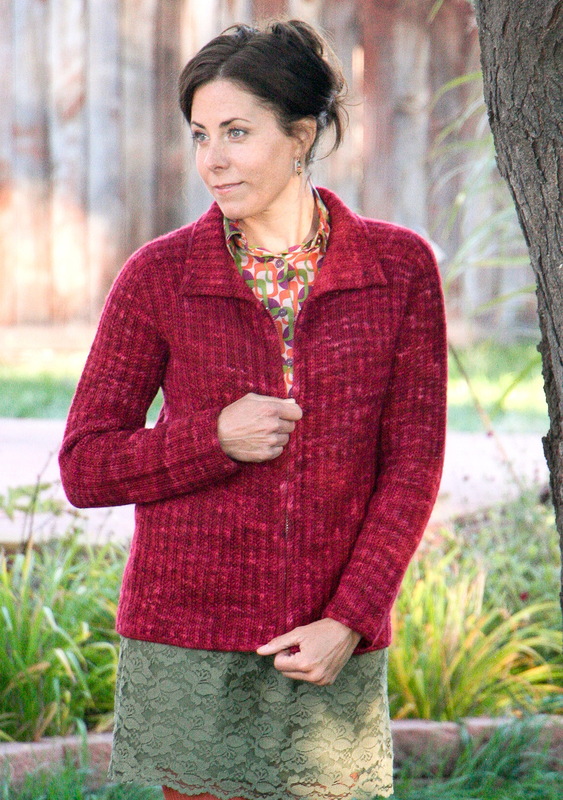 Warm and sporty, this zip-front jacket follows the general instructions for a saddle-shoulder cardigan in The Knitter’s Handy Book of Top-Down Sweaters, but it’s been tweaked to accommodate a gauge of 6.25 stitches/inch and a 4-stitch pattern multiple. A fold-over collar is added to the crewneck shaping, and attached I-cord is worked around all the edges for a clean finish. Don’t let the zipper intimidate you–it’s quite easy to insert if you follow the instructions provided and you’ll find detailed photos if you click on Top How-To Insert a Zipper in the upper right corner of my blog at annbuddknits.com.